Accenture and the Canadian Youth Business Foundation (CYBF) have announced that the Accenture Foundations have awarded the national charity a grant of US$420,000 to help the organization support young entrepreneurs in Canada. The two-year commitment is part of Accenture’s global corporate citizenship initiative, Skills to Succeed, which will equip 250,000 people around the world by 2015 with the skills to get a job or build a business. The grant will help CYBF mentor more than 2,000 entrepreneurs aged 18 – 34 and enhance the mentoring skills of more than 3,700 existing and new mentors, who help entrepreneurs build and scale sustainable businesses across the country. In addition to the grant Accenture will provide CYBF with pro-bono services to help ensure the long-term success of the program. Specifically, Accenture employee volunteers will create a new online mentoring orientation program, which will upgrade the skill sets of both mentors and mentees. Additionally, Accenture volunteers will be recruited to act as mentors to the entrepreneurs. The grant is an extension of Accenture’s relationship with CYBF which began in 2006, when Accenture funded development of their online mentoring tools and interactive business planner. Additionally, CYBF is an active member of the Prince’s Youth Business International network (YBI), which Accenture has supported since 2006 by providing more than US$3.6 million in grants and pro-bono assistance in recruiting, training and maintaining the organization’s mentoring network. The new funds will be used to rebuild and roll out the nonprofit’s online mentoring orientation tool and to assess, scope and develop mentoring programs and services. “Both the Canadian Youth Business Foundation and Accenture share a commitment to invest in the success of tomorrow’s business leaders by providing them with the skills and support they need to start and sustain their own businesses and to drive economic vitality in communities” said Vivian Prokop, chief executive officer of Canadian Youth Business Foundation. “The support of Accenture will enable Canadian Youth Business Foundation to strengthen and broaden its successful mentoring program as the foundation and platform for entrepreneurial, small business skill development for young entrepreneurs in Canada and around the world. Enterprise solutions provider CSDC Systems Inc. has acquired Privasoft, an Ottawa-based provider of solutions – for public sector and regulated industries – that automate legislated obligations to comply with laws such as Access to Information (ATI) and Freedom of Information (FOI). Privasoft designs, develops and delivers a variety of solutions including the AccessPro suite. Privasoft’s products are used by a large number of organizations in North America and Europe to automate capturing, tracking, reporting and managing cases as part of the information disclosure process. For nearly twenty years, the solution has proven to optimize case processing, reduce operational costs and deliver consistent decisions while improving the quality of responses. The addition of Privasoft to CSDC’s existing portfolio of solutions for permitting, licensing, grants and courts, solidifies CSDC position in the market as a leading provider of enterprise solutions that improve the effectiveness and efficiency of service delivery. Following a five-week-long call for applications, The Canadian Youth Business Foundation has announced the names of the 30 young entrepreneurs who will form the official Canadian delegation at the G20 Young Entrepreneur Summit (G20 YES) in Nice, France this fall. Thirty dynamic young Canadian entrepreneurs have been selected to participate in the G20 YES, an annual international summit that brings together dedicated and influential entrepreneurs of the G20 countries, between October 31 and November 2, 2011. At the summit, delegates will be working together to identify the ways that governments and business communities can best harness the potential of young entrepreneurs, while also driving public policy, raising awareness and providing a voice for young entrepreneurs around the globe. The resulting recommendations will then be officially handed to the G20 leaders on November 3rd in Cannes. CYBF hosted the inaugural G20 YES in Toronto in June 2010, inviting 200 young entrepreneurs and the organizations that represent them from the G20 countries to participate in the development of a communiqué delivered to the G20 leaders. The Summit also resulted in the creation of the G20 Young Entrepreneurs’ Alliance, an international network of like-minded organizations supporting youth entrepreneurship. Florida-based security and identity management solutions provider AuthenTec and Toronto’s QuickPlay Media Inc., have announced a partnership that will see QuickPlay using AuthenTec’s DRM Fusion™ Server to integrate QuickPlay’s OpenVideo™ platform with Microsoft PlayReady®. The integrated offering will enable content owners and mobile operators to securely stream video on demand (VOD) content directly to media tablet devices while ensuring compliance with entertainment industry DRM standards. AuthenTec’s DRM Fusion Server and Agent support Microsoft PlayReady, Windows Media DRM, Open Mobile Alliance (OMA) and DECE UltraViolet standards. The Agent is available as a downloadable application for both Android and Apple iOS-based smartphones and tablets. As an embedded solution, it is available on Android and many other embedded platforms for mobile phones, set-top boxes and other OEMs. AuthenTec also offers an end-to-end media security solution through its DRM Fusion Server for carriers and network service providers. AuthenTec’s DRM Fusion Server handles the entire DRM process from content protection, rights creation, rights and condition management to license generation and delivery. AuthenTec’s complete security offering includes fingerprint sensors, identity management software, hardware IP, and encryption software for mobile and networking applications. AuthenTec’s solutions ensure security and user identity from the client to the cloud, and are deployed by the world’s leading companies including Alcatel-Lucent, Cisco, Fujitsu, HBO, HP, IBM, Motorola, Orange, Samsung, Siemens, and Texas Instruments among many others. Learning Tree International, Inc. will be presenting five informative sessions at Showcase Ontario 2011, providing key insights on the best in public and private sector business training practices and solutions. Showcase Ontario takes place this September 7th through 9th at the Metro Toronto Convention Centre and will offer participants access to career-focused education sessions, world-class speakers and a dynamic exhibition. Wednesday, September 7, 9:00a.m. – 12:00p.m. Description:This interactive session will help create clear goals for projects, and explain how to use these goals to ensure successful projects and achieve smooth project closure. Two Sessions: Wednesday September 7, 1:00pm – 4:00pm & Thursday September 8, 9:00am – 12:00p.m. Description: This session will help participants learn to combine strong interpersonal skills with technical skills, and to apply Emotional Intelligence to motivate and engage teams, foster cooperative working relationships and improve overall effectiveness. Thursday, September 8, 1:00p.m. – 4:00p.m. Description: This intensive mini-course will discuss strategies for planning for project success, as well as common project pitfalls to avoid. Friday, September 9, 10:00a.m. – 1:30p.m. Description: This half-day event features live demonstrations of current cloud computing products such as Salesforce.com, Microsoft Azure, Google & Amazon EC2 to help you evaluate the options, benefits and decisions involved with incorporating cloud computing. The Montreal International Game Summit (MIGS), presented by the Canada Media Fund, unveiled programming for the 8th annual event, which takes place this November 1st and 2nd at the Hilton Montreal Bonaventure. Once again, MIGS is bringing together industry experts to create a educational event of unparalleled quality with presentations in six key areas of the business. 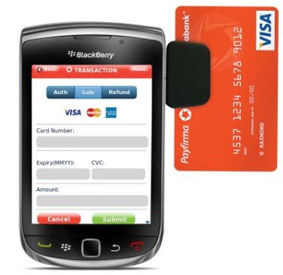 Just one month after Payfirma’s iPhone Virtual Point of Sale App was released in Canada, the Company is now proud to announce the release of its Blackberry Mobile Payment App for Canadian merchants to accept credit card on their Blackberry devices instantly. Payfirma’s payment apps let any business or consumer accept all major credit cards securely on Blackberry & iPhone. Users can swipe or manually input a credit card, authorize the transaction within 5 seconds and email a receipt of the transaction directly from the app to the customers. All transaction data is encrypted and fully secure through Payfirma’s PCI compliant facilities. Merchants and developers can also integrate directly to Payfirma’s mobile settlement and authorization gateway, which enable any mobile application to add a hosted, secure mobile checkout solution. The app is offered for free and users must have a valid Canadian merchant account to process live transactions. Opening a merchant account with Payfirma is easy, and can be opened directly within the app itself, or on the Company’s website. For the first time ever anyone with a computer, web camera and projector can create an interactive environment. Po-motion allows advertisers, teachers & event planners a cheap, simple way to engage their audience. Transform a blank floor or wall into an interactive scene that changes when people walk past or over it. Once users have downloaded the free software from the Po-motion site, they can use one of the eight scenes that come bundled with the software to bring their floor or wall to life. Additional content can be purchased online, with themes ranging from seasonal holidays to special events like weddings. In September 2011, Po-motion will be launching the first of a series of online tools to allow users to customize and build their own interactive floor and wall scenes. Quebec enterprise software developer Devolutions has announced that the next release of its widely acclaimed Remote Desktop Manager application will offer users an enhanced level of value, convenience and productivity thanks to a new development partnership with TheGreenBow, a leading enterprise security software firm. The development partnership allows for the integration of TheGreenBow’s VPN Client software directly into Devolutions’ Remote Desktop Manager. As a result, IT managers and remote workers will be able to create a VPN tunnel and rapidly open a secure remote connection with Remote Desktop Manager – and all with a single click. Currently, TheGreenBow is available as an add-on to Remote Desktop Manager, but the next version of Remote Desktop Manager will support the TheGreenBow VPN software out of the box. Full release details will be launched soon. Telefilm Canada will be holding the first of a three part panel discussion luncheon on September 9th in the Filmmakers’ Lounge at the Hyatt Regency Hotel. A Toronto International Film Festival partner event, the Question and Answer session will be hosted by Telefilm Canada Executive Director Carolle Brabant and moderated by Tom McSorley, Executive Director of the Canadian Film Institute, with opening remarks by Atom Egoyan, director of Chloe and The Sweet Hereafter. The future of Canadian cinema is here and it is now. This panel discussion brings together filmmakers who’ve just made that elusive first feature. Whether it’s making the transition from shorts to features, the exciting opportunities of making films with digital media, or the aesthetic possibilities afforded creators by new technologies, these young directors will discuss how they got here and where they intend to go. Simon Davidson, The Odds, Canada First! Guy Édoin, Wetlands (Marécages), Canada First! Anne Émond, Nuit #1, Canada First! Ivan Grbovic, Romeo Eleven (Roméo Onze), Canada First! Yonah Lewis and Calvin Thomas, Amy George, Canada First! There will also be panels held on September 12th and 14th, but details have not yet been released.